The UK – which has long lobbied against a ban – could make its own rules on pesticide use after Brexit. Conservative MEP Julie Girling recently tried unsuccessfully to derail the Commission’s efforts to introduce an outright ban in the EU Parliament. The hotly anticipated research, published in the journal Science this evening, also discovered that exposure to the nicotine-based chemicals can reduce the reproductive success of three different bee species – honey bees, bumblebees and the red mason bee. With £3 million in funding from the chemical companies and additional money from Natural Environment Research Council (NERC), the researchers were able to conduct a large scale, field-realistic experiment across three different European countries – UK, Germany and Hungary. Professor Richard Pywell, the co-author of the study, said in a statement that the results of the research were complex. “Neonicotinoids remain a highly contentious issue with previous research on both honeybees and wild bees inconclusive. “This latest field study was designed, as far as possible, to reflect the real world due to its size and scope. We therefore believe it goes a considerable way to explaining the inconsistencies in the results of past research, as we were better able to account for natural variation in factors like exposure to the pesticide, bee food resources and bee health for different bee species. A Bayer spokesperson told Unearthed the company was disappointed with way the results had been presented. He said: “This study is one of a number of landscape studies carried out recently. The results of the CEH study are inconsistent and therefore inconclusive with variability of effects over both the bee species and the countries in which they were studied. In a statement sent to Unearthed, Syngenta were keen to highlight the findings of the study in Germany where neonics had no impact on honey bees. A partial ban on neonicotinoids has been in place across the EU since 2013, due to concerns about the pesticide’s impact on bee health. Uncertainty surrounds what the UK’s position will be on the controversial pesticides post-Brexit. “Bees and other pollinators are vital to the diversity of our environment and food production which is why we are leading a nationwide strategy to better protect them. 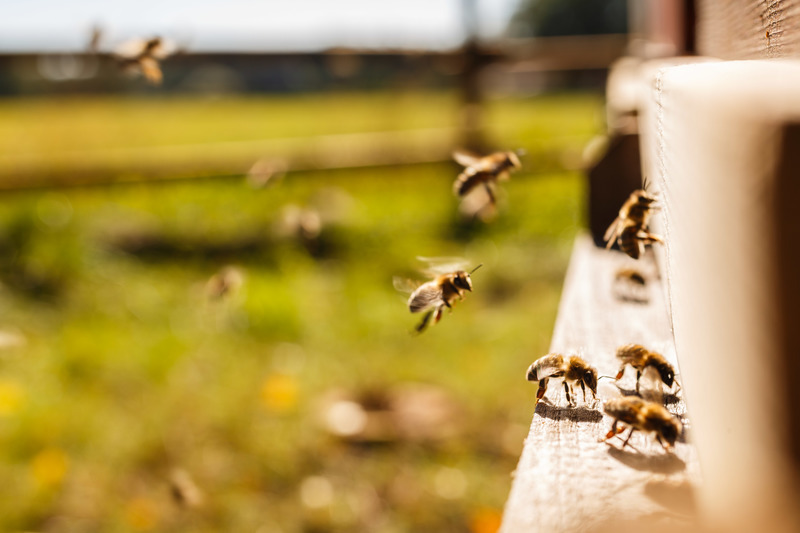 Back in September, Unearthed uncovered private studies commissioned by Bayer and Syngenta which showed that their neonicotinoid pesticides can cause serious harm to bees.